The path life takes is impossible to determine, but if we make the most of it, whatever it goes, it will be worth it. Words to ponder as we travel along a journey, much like life, music can shift in shape without warning. 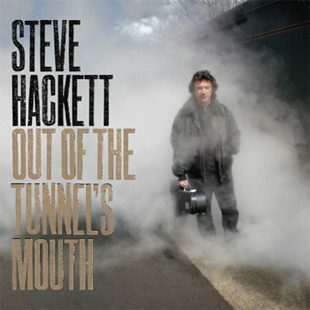 Such is the case with prolific Singer-Songwriter Steve Hackett who takes life as it comes and through it all, allows creativity to be his guide. 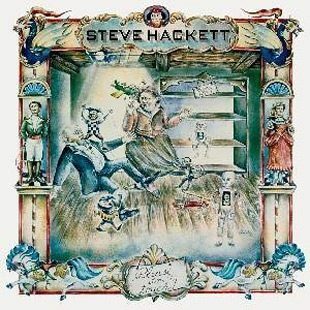 Famously known as guitarist of Genesis from 1971 to 1977, Hackett’s progressive leaning music continues to grow all these years later as he celebrates the release of his twenty-fifth overall solo album, The Night Siren. A cinematic sounding piece of work, the follow-up to 2015’s Wolflight could be his most sonically complete album to date. Now out on the road supporting The Night Siren, as well as commemorating the fortieth anniversary of Genesis’ 1976 album Wind & Wuthering, Hackett honors the past while looking toward the future. Recently we caught up with the busy musician to talk the work behind The Night Siren, painting a picture with music, his thoughts on a Genesis reunion, and much more. CrypticRock.com – Last we spoke you had recently released the concept album Wolflight back in 2015. Since that time you have been actively touring and recently returned on March 24, 2017 with the brand new album The Night Siren. What have the last couple of years been like managing this busy schedule? Steve Hackett – Life can be very challenging but it is extremely fulfilling. I guess it is part of the process of growing up: I am very busy but it is a great time, as well. Of course, you might of heard the joke “It’s a great life, if you don’t weaken.” It is a certainly great time at the moment; I am feeling very strong and I am feeling very happy about that. CrypticRock.com – Well that is very positive to hear. As stated, Wolflight was a concept record and you had told us most of it came out on paper. Was the process any different for The Night Siren? Steve Hackett – I think this was more ambitious in terms of people’s geographical locations: we had twenty people scattered around the world. Some of them I was able to visit face to face and get performances from, some of them did file sharing. Then, in other cases, it was the regional instruments that I was able to find or bring back from places I visited. Once you have got that all together, everything became data. Some things that were recorded on their home, that did not have a home; in other words, solos that existed in their own time. Then we tried to rationally everything into a whole. On one level, the distinction of the performance and the song no longer applied; things had been manipulated but a lot of the time it came forth with honest performances. We tend to use all everything available, all the technology to get some extraordinary performances out of people. Whatever it takes to make it or fix it, it is all there. There is some extraordinary stuff, it was a hugely ambitious project. I am amazed it came together so quickly, to be honest. CrypticRock.com – Speaking of coming together quickly, releasing Wolflight in 2015, that was your first studio record of new original material in four years. The turnaround time for Night Siren is half that. That said, was it just a matter of finding the time to write with a busy schedule? Steve Hackett – What happened is, I was touring so much and it wasn’t easy to find one place to record. Wolfight existed on paper long before it became a record. I am kind of old-fashioned, most of the time I write ideas down on paper. If the melody sounds good to me, I will use it. Of course I practice on guitar and practice singing. Somehow you have to stay fluid it seems to me – you have to play fast, loose, and borrow from everywhere; you have to have no prejudice. I don’t have a secret formula for doing any of this stuff. All I can say is you have to keep your eyes and ears open the entire time. CrypticRock.com – That is a good outlook to have. This new album is a compelling mix of epic instrumentation and thoughtful lyrics. You have said there is really no formula to songwriting. That in mind, what is your biggest challenge when composing a record this diverse? 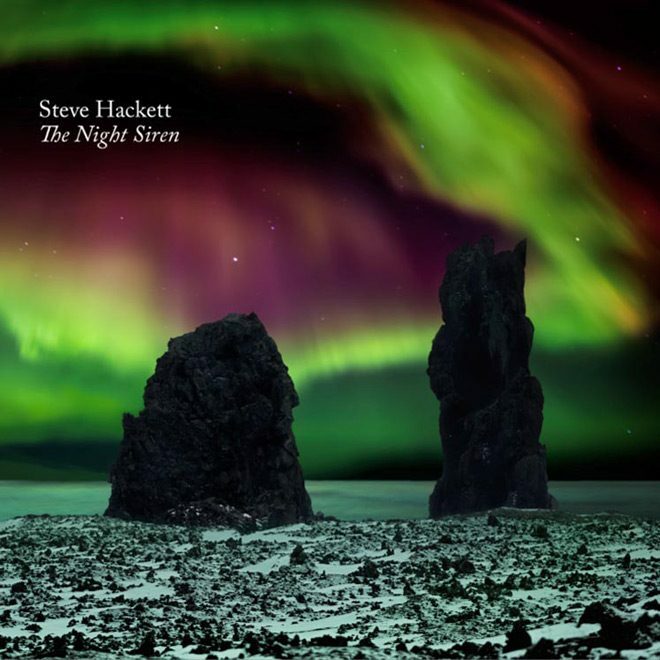 Steve Hackett – The challenge is always the same: to make lots of different, diverse ideas and turn them into a cohesive listening experience; this is so there is the sense of a satisfying journey. Some people who either like to be intrigued by musical singing changes or some people just get bored very quickly when things stay in the grove too long. We are driven by different things. If you listen to something like the Blues and accept what it does, it seems as if, harmonically, it is less concerned with harmony than perhaps it is with rhythm, but it is naturally concerned with the singer and player. Progressive music is different: it is full of harmonic information and a lot of changes. I think the intention is the same: it is to retain the listener’s interest. How to go about it, Rock and Blues are on opposite sides of the divide, skills apart. Still they are both player-orientated forms. CrypticRock.com – That is a very good point. Beyond music you are clearly influenced by your surroundings whether it be society, nature, etc. Much of Night Siren, as well as in your previous work, you have a cinematic quality. For example, tracks like “El Nino” could be imagined on a Horror film soundtrack. 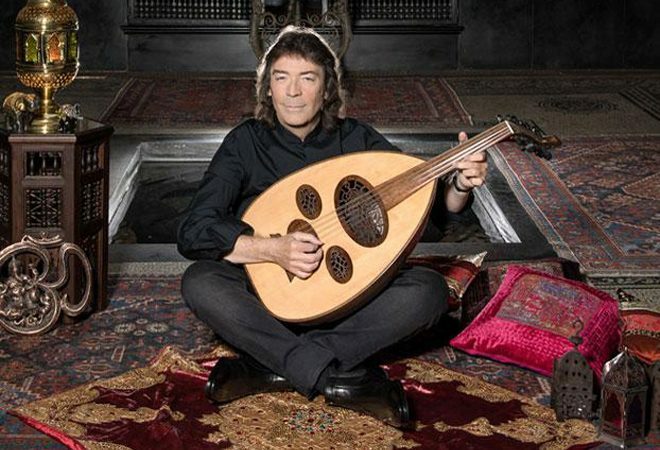 Steve Hackett – Yes, well I think what we did with that track, I had an idea of orchestra, tribal drum, and a Rock band driving to where they are are all unstoppable forces circling each other with different atmospheres. When Roger King mixed it, I said, “It would be great if you just felt like you were in the eye of the storm. Please mix it bravely and allow it to be an all-out assault; don’t worry about doing an adaptive stereo mix.” Once that track was mixed, we used that physiology for the rest of the music, not to just create surprising music, but to have it come from surprising places. It is so detailed: some of these songs are in excess of 300 tracks going on at once, where everything had to be layered; sometimes you have the equivalent of three symphony orchestras and a couple of Rock-n-Roll bands. I often joke with Roger and tell him, “It is all your fault,” because he is such a detail freak. He says, “Well, what we used to do is we used to stick the tambourine on the track with the drums and share it, but you keep it isolated now because you can.” You can give it a different ambiance and perspective now. These things mount up very quickly and you know you can achieve wonderful things in mono, never mind stereo. That is how it went with The Beatles’ Sgt. 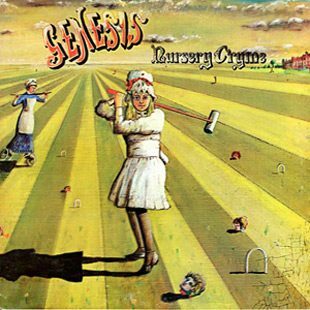 Pepper’s Lonely Hearts Club (1967) on four-track; King Crimson’s In the Court of the Crimson King (1969) on eight-track; Genesis’ Nursery Cryme (1971) on sixteen-track; and so on and so forth. The most important thing is the imagination, I believe. I want to stand in front of people and for it be a place to inhabit, landscapes. My father was a painter and did lots of landscapes; I wanted music to do the same thing. It is a little bit like film but it is only going to engage the ear, not the eyes, excepting in the case of some videos we are doing. We have one video for the album, “Behind the Smoke.” The music is a little bit like oral film. 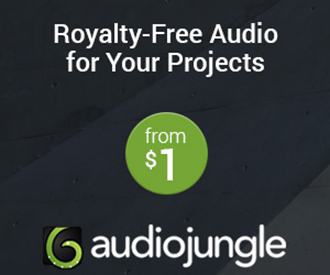 CrypticRock.com – The music certainly does have that quality. When listening to these tracks, you do have a visual image; it is based on your imagination of what you are hearing which is wonderful. Steve Hackett – I was still learning my craft when I was with Genesis and still learning today, of course. When I did the second album, Please Don’t Touch (1978), we had a number of African-Americans, English people, a real mixture of people – we had some really wonderful singers and players. The idea was to do an album that reflected the series of CBS Records Rock Machine I Love You albums that were recorded in the late ’60s. I remember the diversity that was on them – you had Leonard Cohen, the Grateful Dead, Simon and Garfunkel, and so on and so forth. Every act was very different to each other and I thought, I wonder if one person can do this and really hide their identity behind all these different types of music – in other words, different bands play different things. Please Don’t Touch was not a huge success in it’s time, but Steven Wilson said to me it was his Sgt. Pepper’s; he heard it when he was eleven years-old and was hugely turned-on by the variety of things that were on it. I thought The Night Siren is just as good of a demonstration; the idea of there not being really any center to it, just an invisible nucleus perhaps and everything going on around it at the edges of the atom. That was the idea! Maybe it is the idea of thinking maybe I can take people specific places so I can landscape that. We can try and do a snapshot of the mountain peaks, the volcanos, the extreme winds blowing, birds flying backwards, and waterfalls flowing upwards. Things that were not really quite normal but to create something exciting, strange, and yet somehow engaging. CrypticRock.com – Well, you certainly have done a fine job of creating these musical landscapes over the years. You recently wrapped up a North American tour and now you are set to return to Europe for a list of shows through May. 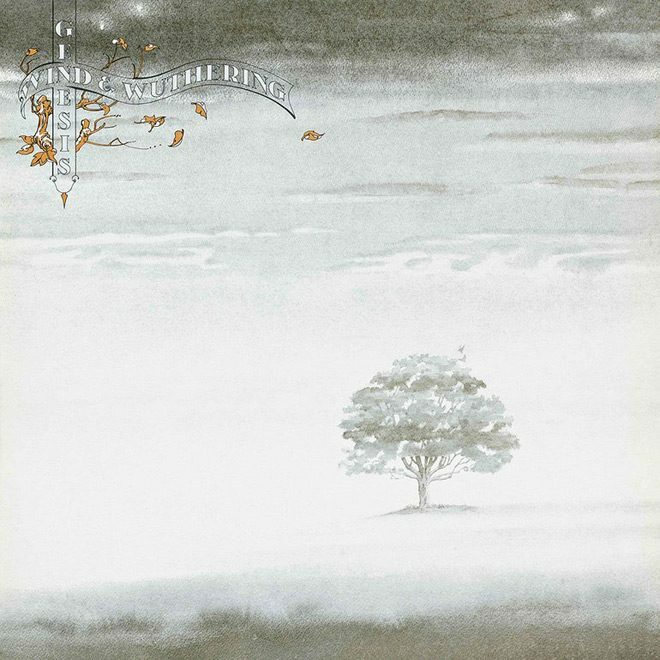 On this tour you are honoring the 40th anniversary of 1976 Genesis album Wind and Wuthering. What has this run been like? Steve Hackett – It has been marvelous: I have been able to celebrate the present and future. 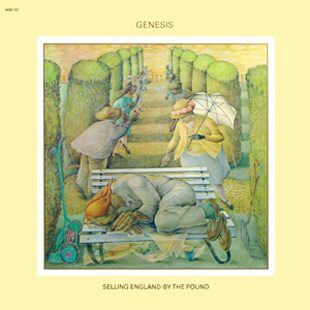 I have a band that can turn on a dime, who can become Genesis from 1971 to 1977 during a very creative period in the band’s history. They can do authentic versions of those tunes, but are not afraid to add things from time to time. They have the ability to be sufficiently traditionalist about it but with the ability to change the music as we indeed did with Genesis, as songs evolved to allow a change of key or instrument necessary to make it work. They have the ability to play it live with conviction! The band does great versions celebrating the 40th of Wind and Wuthering, which was my last album with the band. It is a very British sounding, storytelling album – historical, battles, physiological. In a way, I have very much come back to that type of music lyrically. I do write an occasional love song as well; I am not entirely celebrating the mating ritual. The best love song writer, you have to look at the best and say could I write something like that? Could I write a “MacArthur Park?” You just do what you do honestly, there is an energy in honesty. 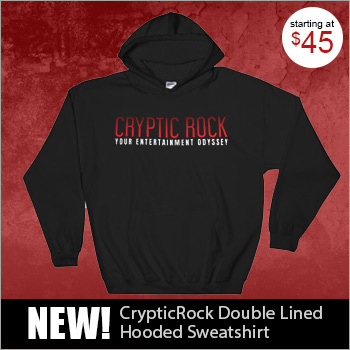 CrypticRock.com – Yes, there is! The tour has included many sold out shows: it is exciting to see people embracing the music so well? Steve Hackett – It is great and I am going to at least five countries I have not been to before – I will be going to New Zealand, Australia, Singapore, Hong Kong. There are so many possibilities with all that; it is an extraordinary time. CrypticRock.com – It sounds like a very exciting time and you are getting to visit places you have not been before. We have spoken about the mark you left on Genesis during the band’s ’70s era, and you have reunited with the band on various occasions throughout the years. With Phil Collins now out of retirement, have there been any talks of reuniting that classic ’70s Genesis lineup? 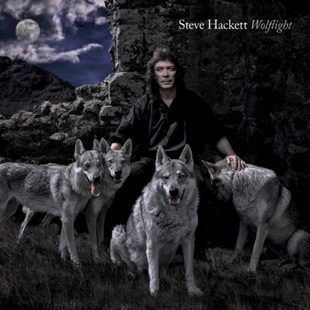 Steve Hackett – You know, if he wanted me to do it I would do it! I think it comes down to that; I think Phil is the man who is in the position to say whether it will happen at all. I don’t know if Phil needs to defer to the other two. The clock is ticking for all of us. I would say all things are possible but, meanwhile, I celebrate not just the present day work but I celebrate the past with no prejudice. I have no problems about that, I have no problems playing a guitar solo on “I Can’t Dance” if that is what it takes. I am completely open but my date sheet is getting pretty full. As I say, people have to evolve to the level where they realize just what they had in hand at one time, if they want to incorporate again, that is fine. There would need to be some ground rules to be applied first of all to try and achieve the degree of quality that we once shared. It is a dream, isn’t it? That is what the world should be about: equality, celebrate everyone equally. We are in a competitive kind of biological conundrum. 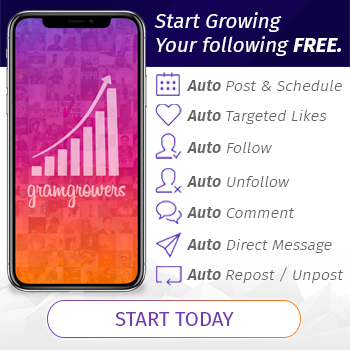 CrypticRock.com – That is a very valid point and it seems to be human nature. In some ways, competition is very good: it keeps us aiming to be better but, in other ways, it can bring out the worst in us. 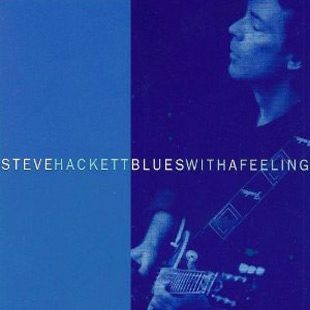 Steve Hackett – Yes! For me, I respect hugely people of the status of B.B. King, who kept gigging literally until he dropped. John Mayall is doing the same thing. I met him after seeing him on-stage for many years and he said, “I am going to be doing a gig next week on my 80th birthday.” That is absolutely fantastic! I respect the Rolling Stones. I think there is a similar feeling of tenuousness and competence to music that goes beyond all success; it is just a simple love of music that deserves to be heard. Also, the idea of restitution, of taking some great old tunes that were not hits in their day, that The Stones have made successes. CrypticRock.com – Absolutely, that sort of restitution of music of the past is really important. My last question for you is pertaining to movies. Last we spoke you had said you enjoy the Horror genre. Have you seen any new films in the Thriller/Horror genre? Steve Hackett – A film I particularly liked was Pan’s Labyrinth (2006). I thought that film was extremely good and I have enjoyed other work that Guillermo Del Toro has done; it seems to bridge the gap between Horror and Fantasy. It is not just about the splatting of as many blood-curdling scenes as possible, but the building of tension and an interesting combination of theater and the believable and unbelievable. The idea of putting the impossible in front of you and thinking it is extremely likely. I love it, it is great stuff. If he wants a soundtrack, he could have one from me. CrypticRock.com – That is a beautiful film. That is interesting you say that, so you would be open to doing a soundtrack in that fashion? Steve Hackett – Yes, but what I am not prepared to do is go to Hollywood and audition. If someone wants me to do it, I will give it my all; I am not going to sit around, life is too short. I know what I do is perfect for film, I know I have had a lot of things used for film, but I am not usually hired for it. That does mean I have a body of work that can be done in all sorts of ways in every single genre. I love it all, I love all music. To be honest, I love all films too. I am hugely impressed with the things directors are able to do, it is a huge organizational feat. I think if people can come together and function without egos they can do wonderful things, just put each other in each other’s hands. It is quite strange, Bruce Willis came to our show recently in New York, it was the second show he came to. To meet him and talk to him, it was an extraordinary thing. There you have, the guy is at the top of his profession but with a love of music. I think people do have this thing where you can be passionate about several things at once – books, painting, movies, music, all of it. It is all of the same frame somehow. With tender strokes of art we can achieve so much. Saturday 8 July – Piazza Matteotti, Sogliano Al Rubicone, Italy .